If it's cold outside and you're craving something warm and filling, try this recipe for homemade mutton stew. This hearty dish is loaded with protein, vegetables, and flavor. Don't have mutton at the moment? Don't despair. Mutton is simply older lamb—literally. The meat of mutton, hogget, and lamb all come from sheep at various life stages. Lamb is baby sheep. Hogget is the meat of older but underage sheep, and mutton is the meat of adult sheep. Mutton isn't as popular of a meat in the United States as lamb is, so you're more likely to find lamb than aged sheep meat. Given this, if mutton is hard to come by in your area, you can substitute lamb for mutton instead. Just know that lamb meat tends to be more expensive. Although sheep meat isn't nearly as mainstream of a meat as beef or chicken are in the U.S., it does have a following. Mutton stew is part of the Navajo Nation's traditional cuisine, for example. Sheepmeat is also commonly eaten by the British, Greeks, Nigerians, South Asians, New Zealanders, and Iranians. You'll find that mutton and lamb are beloved in a number of immigrant communities in America. 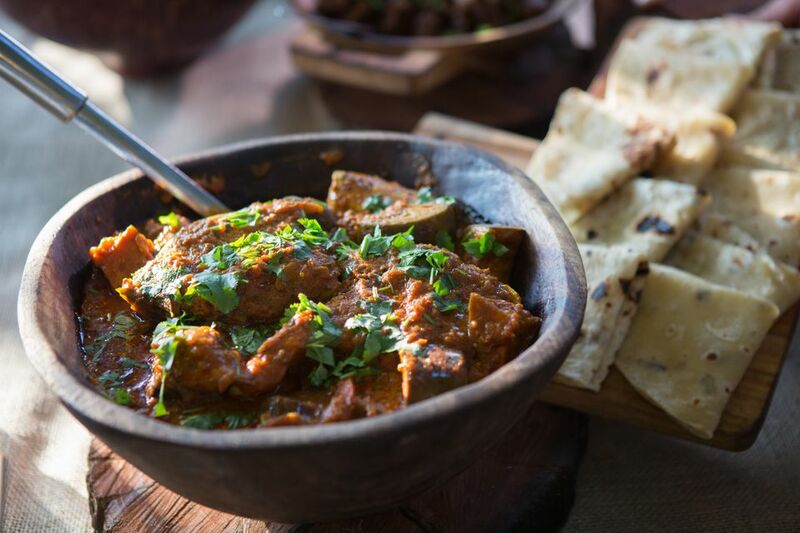 Sprinkle mutton or lamb generously with salt and pepper, then dust with flour. Heat oil in a heavy Dutch oven pot large enough to hold all ingredients. Quickly brown the mutton in a single layer, taking care not to crowd the meat. (You may need to do this in batches.) Add chicken stock, celery, sweet onion, and ​ketchup. Stir to combine. Bring to a slow boil, reduce heat, cover and simmer for about an hour. After the mutton has cooked for an hour, add green beans, potato, turnip, and carrots to the meat in the pot. Stir to combine. Return to a slow boil and simmer until vegetables are tender, about an additional 30 minutes. Taste and add additional salt and pepper, if necessary.